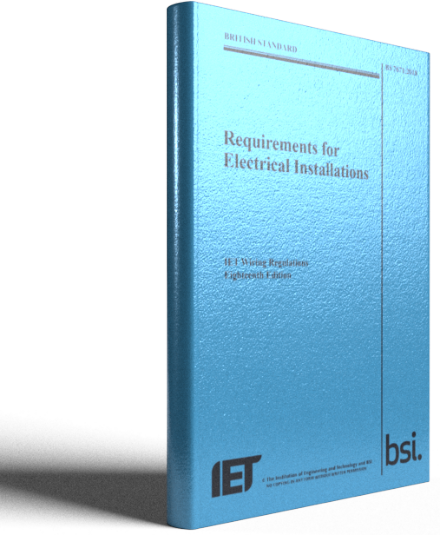 FormFill and CableCalc have now been updated to include the changes required by BS7671:2018. The minor works certificate has changed substantially and the EIC/EICR have new inspections to be undertaken as well as two new columns on the schedule of test results. For Windows this is a new version 12 program that will run in conjunction with previous versions, allowing you to access your certificates in the old formats as well. 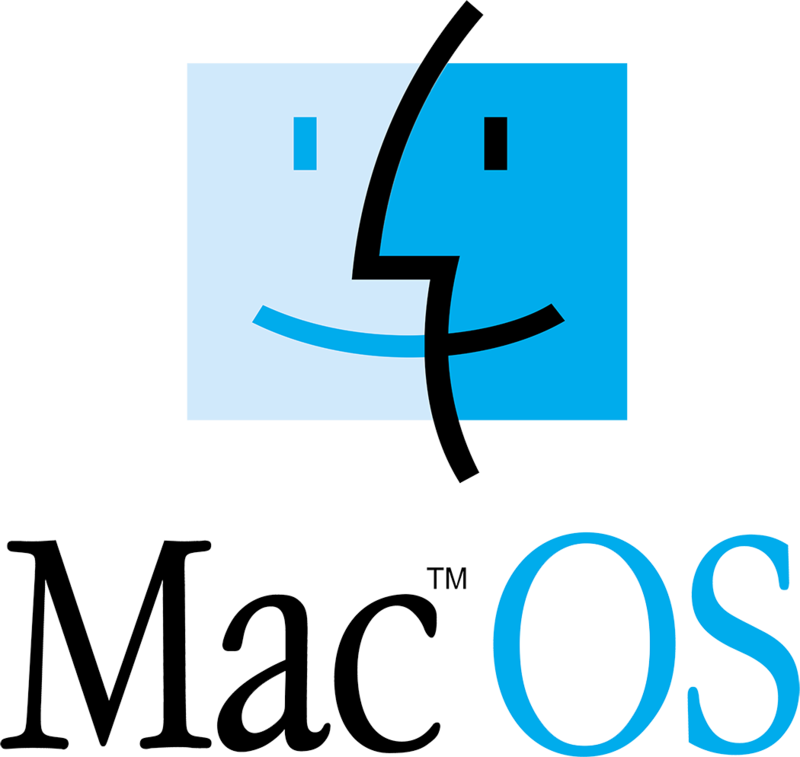 The Mac OSX version includes both old and new format certificates in the same program. If you subscribe to Upgrade, Maintenance and Support or either of the Annual licence Schemes, you can access the latest versions from the customer area. If you have an older version of our software and are outside of a support subscription then please contact us for an upgrade price. The iPAD and Android apps have also been updated to be compatible with both version 11 and 12 of FormFill. By popular demand, FormFill and CableCalc are now available for Mac OSX. 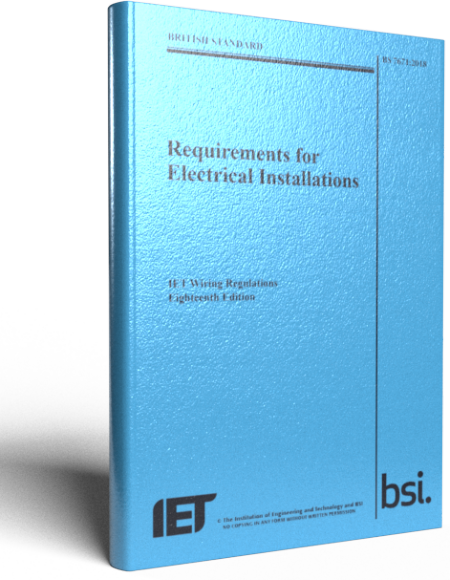 Previously only available for Windows based PC's, you can now complete BS7671 certificates and perform cable calculations on your intel based MacBook or iMac. 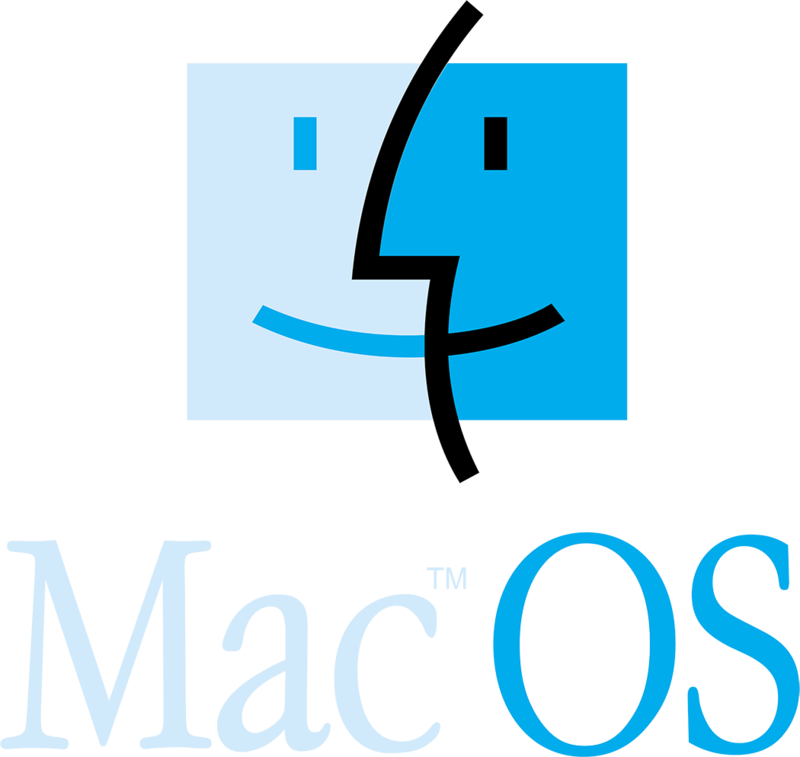 Both applications are compatible with Mac OSX version 10.7 (Lion) and later. You can find further information on both the FormFill page and the CableCalc page. New CableCalc BS7671 for iPad available. CableCalc BS7671 is now available for the iPad. 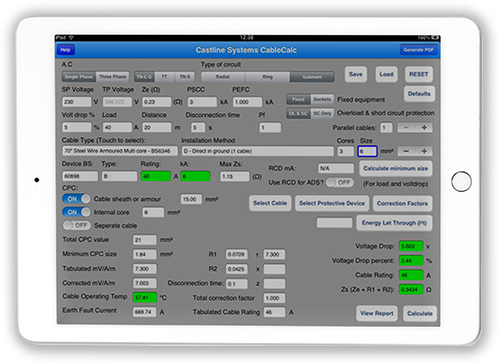 Including nearly all the features of our CableCalc Level 1 Windows software you can now carry out single and three phase cable calculations on-site using an iPad or iPad mini. A full range of copper cables and generic protective devices are included and all relevant correction factors can be entered. Calculations can be saved to load back in later and output is a detailed PDF printout that can be emailed or printed directly to an airport compatible printer. For more information, search for 'CableCalc BS7671' in the itunes app store or click the link above. FormFill Plus is now available specifically for the iPad and iPad mini. Search the iTunes Store for formfill on your device to download and install it. The FormFill app allows you to complete Certificates on your iPhone or iPad then email them to your PC, or download them through iTunes, to complete and print in FormFill 10 Level 2 or 3. A version of our free CableCalc level P is also available for the iPhone. CableCalc Lite will calculate single phase ring and radial circuits wired in PVC Twin and Earth cable or Flat 3 Core and Earth and includes a full range of protective devices. Search for 'CableCalc Lite' or 'FormFill' in the itunes app store or click the links to view them in itunes or the app preview store. FormFill Pro Standalone iPad certification app. 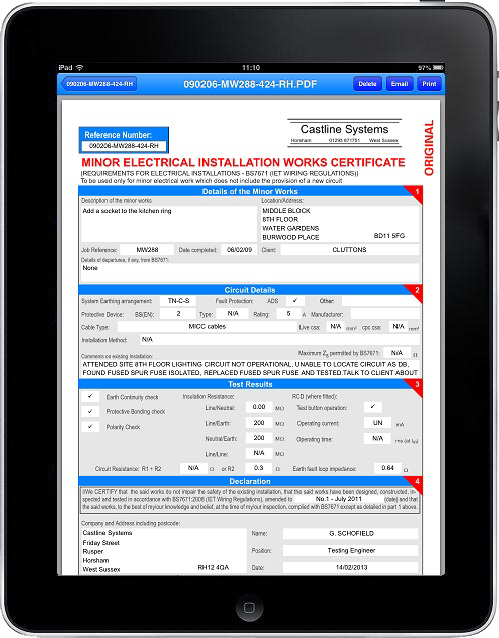 FormFill Pro is a standalone app for producing BS7671 electrical certification direct from your iPad. 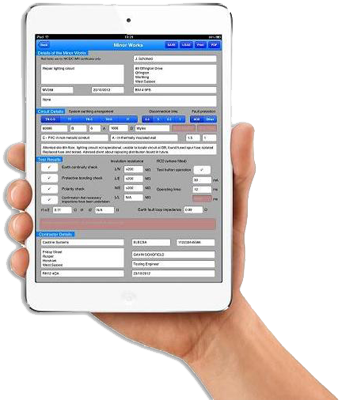 FormFill Pro enables you to complete Minor Works, Electrical Installation Certificates and Electrical Installation Condition Reports on your iPad or iPad mini and email them to the client or print them to an Airport compatible printer. Certificates can be customised with a selection of background and text colours. Your own company logo can be added to the certificates (simple logo generator also included) as well as digital signatures. You can also add photos from your camera roll to certificates on additional pages. Unlimited distribution boards and continuation sheets are included as well as pages for additional comments and continuations. Castline Systems have developed a version of FormFill to run on a range of Android devices including Smartphones and Tablets. FormFill Android is available free of charge for users of FormFill Level 2 and higher. 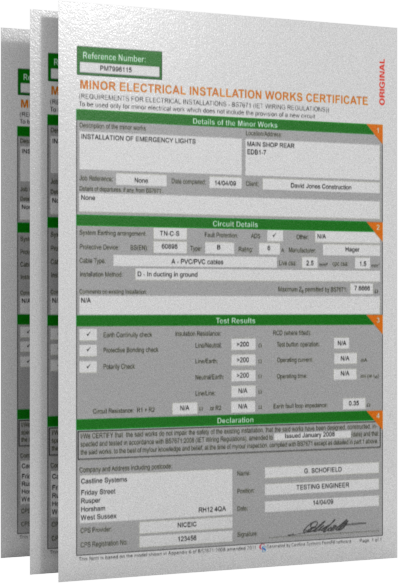 FormFill Android includes the Minor Electrical Installation Works and Electrical Installation certificates as well as the Electrical Installation Condition Report. Users can benefit from being able to fill these forms out whilst on site, straight on to a handheld device. This data may then either be emailed straight from the device (internet connection required), or downloaded via USB, to a PC or Laptop running FormFill version 10 or later. FormFill Android is available to download through the Google Play store, or by searching for 'FormFill' in Google Play on your device.FormFill Android on Google Play. Search the Amazon App Store on your Kindle fire or Kindle Fire HD to download and install FormFill Android.